You’re welcome to use our quick and easy online booking system to book your cab, any time, anywhere. You can also email us or pick up the phone to call (why not put our number – 01303 244442 – in your mobile phone right now? just click on it and your phone will do the rest.) 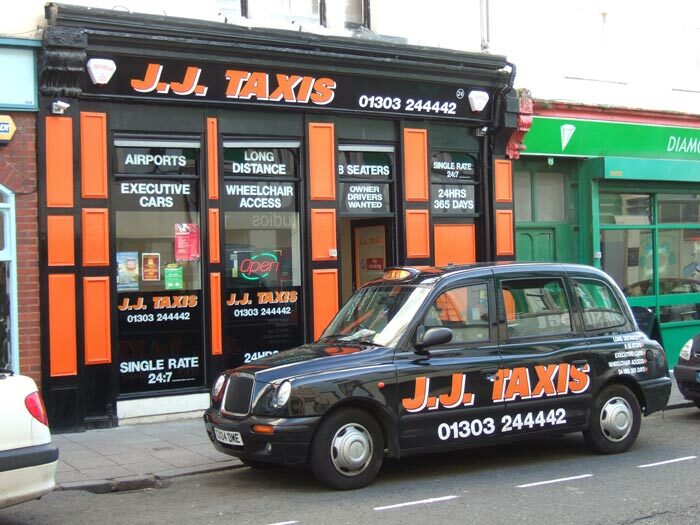 Or you can pop in to the office in Folkestone; we’re open 24/7 and offer a comfortable place to stop and wait for your cab. Our office is open 24 hours a day 7 days a week. Cold drinks and snacks are available in chilled vending machines. We also have an ATM outside our office.